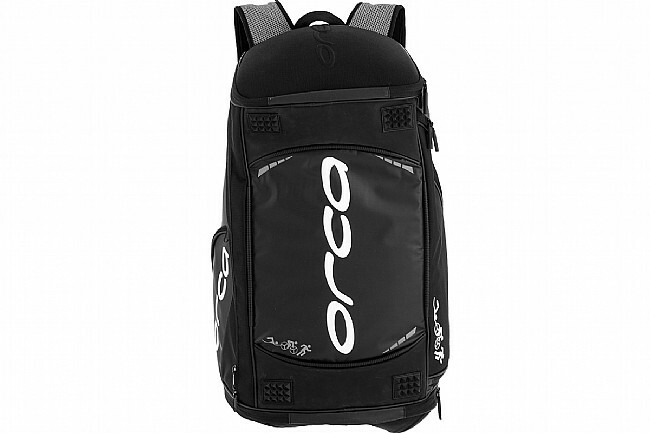 The Orca Transition Bag is designed specifically with triathletes in mind. Featuring a pocket for everything imaginable, all within easy reach the Orca transition bag is hard-wearing and comfortable to carry. It comes with a protective helmet pocket, wet and dry gear compartments and specially lined pouches for electronics. A useful high-contrast bright green interior makes contents easy to find so you won’t lose essentials or time. Perfect when traveling for races. A bag that will cover all your needs. Crafted for hard-wearing comfort, the Transition Bag features a 100% Polyester main body, and 100% Nylon side panels. Secure and organized, an internal helmet zip pocket allows for easy storage. 70 liters of storage space with pockets for just about everything imaginable, including wet and dry compartments, and electronics. 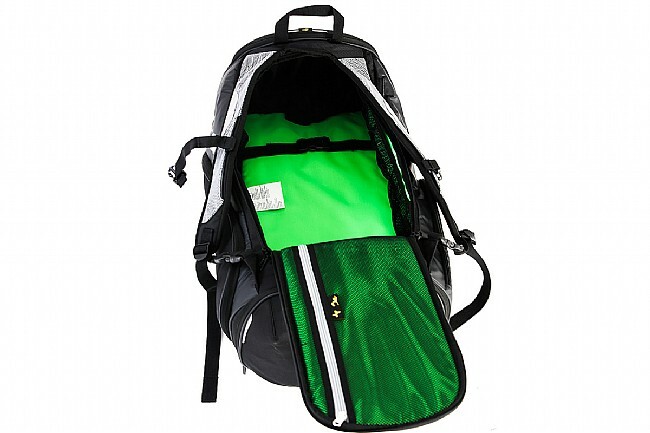 Thick padded shoulder straps can be converted to a single carry strap for easy traveling. High contrast bright green interior makes it easy to find belongings in a hurry.